Click on Admin, and then hover-over Assessments and select Benchmarks. Find the benchmark assessment that you want to view a report for and click the View Reports button. You can view reports for each school, but results will be limited to only the scores that have been entered into the trackers. Note: Use the School Year drop-down menu to view benchmark assessment data from previous years. On the Mastery Report, click on one of the colored levels on the graph in order to view details about each mastery level. 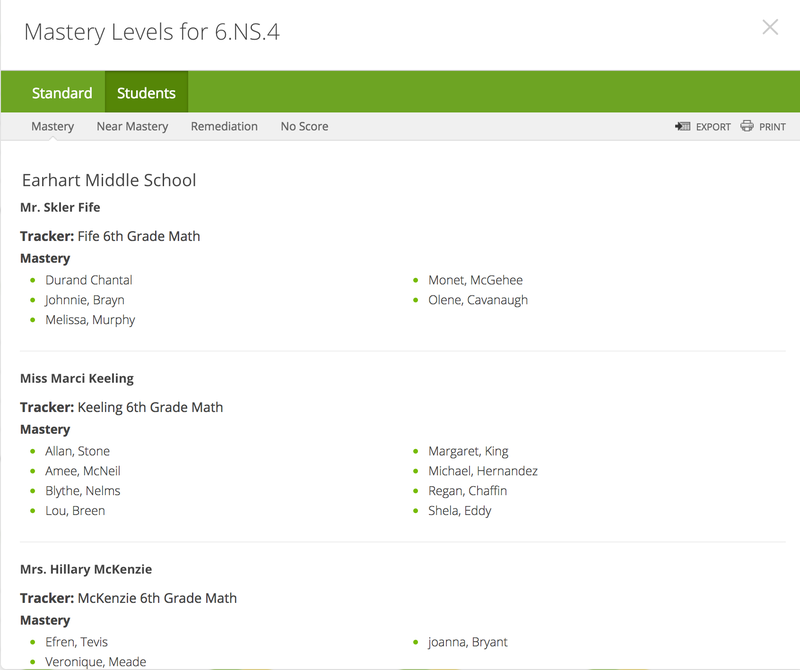 You can view which students in each mastery level, by clicking Mastery, Near Mastery, or Remediation. To export (as a CSV file) or print a list of students in each level, click the icons on the top right of the window.